Microsoft, IFS and IDC provide expert advice on how to make the most of big data and analytics today—and tomorrow. Have you noticed how dramatically different the world is today than it was when you were growing up? Myself, like many (if not most) of you, have bared witness to a complete transformation in the way we live our lives and in the way businesses are operated. Take for example your workplace. If you compare an office space today to an office space of the 1970s or even the 1980s for that matter, there will be one very noticeable difference– computers. The introduction of computers and new technology has fundamentally changed the way in which we do business and the speed in which we do it. These changes are now referred to as “digital transformation.” Digital transformation is driving the creation of new technologies, and these new technologies are generating boatloads of data (commonly referred to as big data). 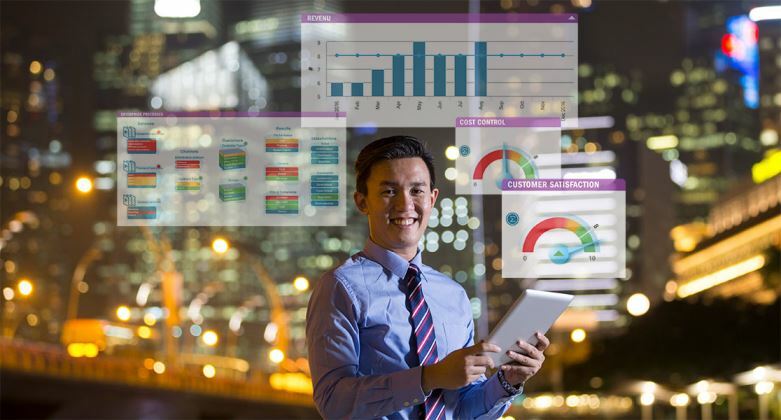 While technology is enabling businesses to operate more quickly, it is the data, however, that’s enabling them to operate more efficiently and more intelligently by providing information that’s pertinent to their growth and success. Register today for free and join us on November 29, 2016, at 3PM London/10AM New York to hear Microsoft, IFS and IDC as they provide expert advice on how to make the most of big data and analytics today—and tomorrow. Do you have questions or comments about the webinar or advanced analytics?